The Web is the world’s platform for innovating and exploring new and improved methods of communication and is a key platform for Kommando to engage with its customers and new audiences, promoting what we do and our achievements. The creative minds at Kommando felt it was time to give our digital communications a new look and feel. 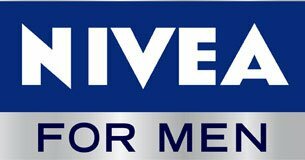 The overall aim was to communicate a clearer and more defined proposition which encourages engagement with our audiences. One of the main transformations was the redesign of the Kommando website. Our digital team mixed our new look with cleverly structured layouts to enhance our customer experience. 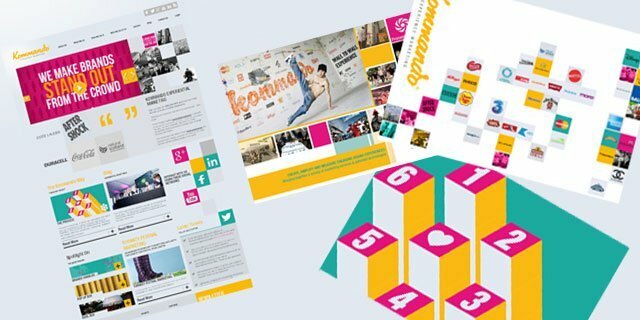 The tone and structure of the site were also key elements, specifically chosen to incorporate the many components that make up the Kommando brand such as our processes, news, blogs, partners, clients and campaigns - plus the inclusion of channels that are used on our campaigns such as Guerrilla Marketing. We also made sure there was a mobile version of the site so that we can stay connected with all of our audiences. Research was conducted before the site build which has since been integrated across all marketing communications, including the website. The research covered various aspects such as a competitive analysis and existing & previous client insight. The research (conducted by an independent consultant) also detailed other peoples understanding of Kommando's business environment as well as the latest trends and behaviours in our industry. Undertaking this type of research isn’t new to Kommando but to obtain unbiased and fresh opinions we felt it necessary to embark on this type of evaluation. The findings allowed our developers to focus on what our audience wanted to see across the website and any other brand communication. Our video was created at the same time as the site build because we felt the site should open with a bang, saying exactly what we do - whilst incorporating the new feel and tone. 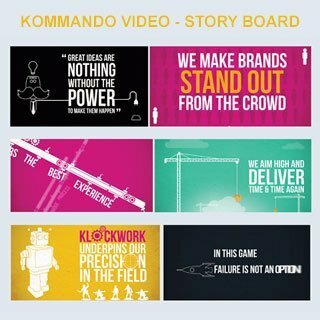 The video content has taken shape around the Kommando Process - which is at the heart of our brand wheel and research. An animation style video with voiceover and special sound effects was the final result and it fitted with our main objectives. We think it will appeal to our key markets and invoke a sense of creativity, vibrancy and fun throughout everything that Kommando does. This video (above) and all our campaign videos have also been uploaded to our unique YouTube Channel and promoted across the website and social media channels. Our entire digital communications were altered, not just our videos and website so keep in touch and feel free to explore the site. 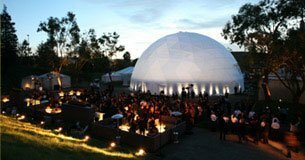 Bring a brand to life and immerse visitors in the personality and features of a brand or product; For a full sensory experience. Our CEO was recently asked to be part of an experiential round table. 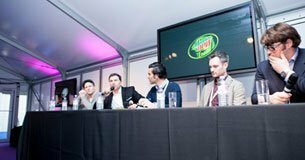 The discussion focused on the history of experiential marketing and the benefits to brands and events.